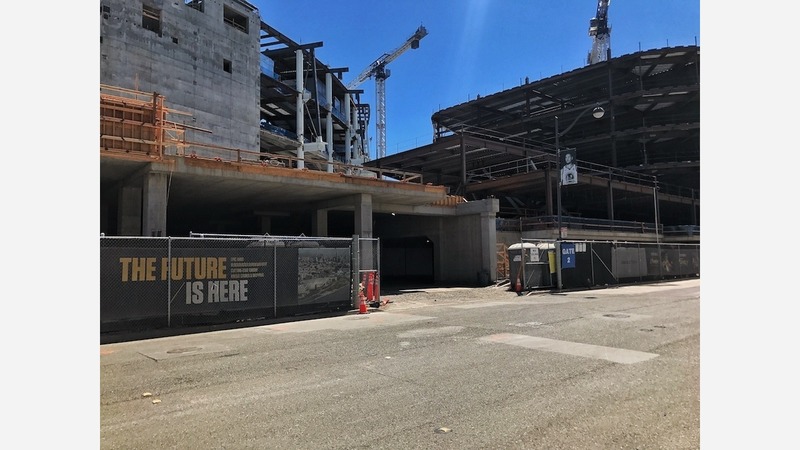 The Mission Bay subway station that will eventually connect the station with the rest of Muni's metro system won't open until after the Warriors play their first game of the 2019-2020 season, but the facility is served by the T-Third light rail line, and a parking facility will accommodate 950 cars and 300 bicycles. Victor Narvaez, general manager of Caffe Terzetto -- about a thousand feet from the new stadium -- told Hoodline that support for the entertainment complex is "fifty-fifty right now." "I think the people who actually have roots here in Mission Bay, they don't like it because of the rent increases and the traffic," said Narvaez. "The other people that just moved in are excited about it," since they no longer need to travel to Oakland Coliseum to see the back-to-back NBA champions, said Narvaez. "I have been in talks with the owner, we're going to revamp the menu a little bit," said Narvaez. "We already anticipate the rent going up at least a little bit, so we've already made plans to address that issue," he said. "I don't know how much it will go up. I know probably a lot more than the owner is expecting."